East Los Angeles had most of the press clippings and a star running back in Clarence Davis, who had broken O.J. Simpson's state community college rushing records. But it was the Rams, with a bevy of future NCAA Division I recruits, who claimed the California Community College championship with a 16-7 victory before 3,500 of their cheering fans on Dec. 14 at Ratcliffe Stadium. Davis, the future National Football League star, put East Los Angeles ahead in the first quarter with a 1-yard scoring run. But it was all Rams the rest of the way as they reached 10 victories in a season for the first time in school history. A defense led by linebacker Roger Huntington limited Davis 91 yards on 28 carries. 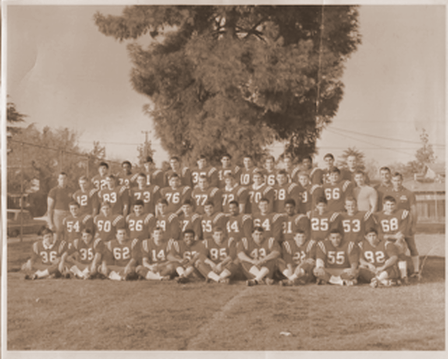 Huntington was ably supported by Dwayne Crump, a defensive back who later played four seasons in the NFL; defensive back Tom Lucero, who holds the Fresno City College career record for interceptions (20); and Carl Moler, who would later play both football and rugby at Long Beach State. Running back Vic Lamanuzzi powered the Rams offense with 170 yards on 32 carries behind the blocking of All-American Ken Mayo up front. Mayo, too went to the next level at the University of Hawaii. And, in fact, Lamanuzzi did all of the scoring for the Rams: two touchdowns, a PAT conversion and a 28-yard field goal. Quarterback Mike Rasmussen, a future Michigan State standout, kept the chains moving by connecting with receivers Steve Natsues and Chuck Davidian, the school's No. 1 and No. 4 all-time receiving leaders at the time of the team's induction into the FAHOF.. When the final whistle blew, the Rams had their state title and a 10-victory season. Among their season-ending nine straight victories were two over arch-rival College of the Sequoias and state playoff conquests of Marin and El Camino. Rams coach Clare Slaughter was named state Coach of the Year by the California JC Football Coaches Association. Team members: Jerry Benefield, Tom Broad, Don Burdick, Dwayne Crump, Chuck Davidian, Jerry Daigle, Marshall Doris, Clifford Eastman, Larry Echols, David England, John Figueroa, Chuck Fink, Chuck Glenn, Roger Huntington, Donn Imrie, Rick Jacobsen, Vic Lamanuzzi, Allen Longcor, Les Lucas, Tom Lucero, John Manor, Ken Mayo, Skip McClellan, Carl Moler, Jim Mullen, Steve Natsues, Doug Noble, Terry Parsons, John Pepper, Marshall Petersen, Mike Rasmussen, Phillip Reaves, Tom Roberts, Monty Schultz, Gene Shimizu, Wayne Simmons, Gary Simons, Jim Slaughter, Dwayne Smith, Lloyd Smith, Greg Stephens, Louis Stoetzl, Louis Strusis, Jim Tsuda, Dave Vietty, Ed Washington, Ken Warkentin, Lee Roy Winton, John Yavasile Head coach: Clare Slaughter. Assistant coaches: Bill Musick, Jack Mattox, Bill Wayte. Student assistant: Gus Short. From Atwater High School to Fresno State to the National Football League, the 6-foot-1, 190-pound speedster commanded the attention of opposing teams. He was a touchdown threat every time he touched the ball -- whether hauling in passes or returning punts and kickoffs. Overlooked by many major college teams because of a perceived lack of speed, Berrian signed with the Bulldogs and stamped his name all over the school record book before being selected by Chicago in the third round of the 2004 NFL draft. His 25 career TD receptions tied him for the No. 1 spot. He ranked second in career receptions with 199, and he was No. 1 in career all-purpose yards with 5,826, which also set a Western Athletic Conference record. In a career distinguished by dozens of big plays, one will be remembered forever by the Red Wave: Berrian's 96-yard TD return of the second-half opening kickoff in a 32-20 victory at Wisconsin in 2001. "I caught the ball and everything seemed to open up," Berrian said. "It was just wide-open field." He totaled 300 yards against the Badgers, with eight catches for 102 yards, two rushing attempts for 16 yards, 29 yards in punt returns and another 153 yards on four kickoff returns. Berrian finished the season with a school and WAC record 2,726 all-purpose yards and earned first-team All-America honors. He was the only player in WAC history twice selected first-team all-conference at two positions -- wide returner and return specialist. 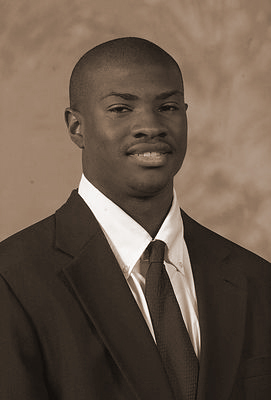 During Berrian's four seasons, the Bulldogs compiled a 35-18 record and made four bowl appearances. Just like at Fresno State, Berrian had many long TD receptions in the NFL. He could take a short pass and outrun defenders to the end zone or simply blow past defenders and latch onto a long pass. Berrian's eight-year NFL career was evenly split between the Bears and one of their fiercest rivals, the Minnesota Vikings. In 2006, he helped the Bears reach Super Bowl XLI, where they fell to Indianapolis. Berrian started 15 games during the regular season and had 51 receptions with six TDs. He added 14 receptions and two TDs, including a 68-yarder in the playoffs. Berrian was wooed to the Vikings in 2008. That year he totaled an NFL career high 964 yards receiving, averaging 20.1 yards per catch -- highlighted by a franchise record 99-yard scoring reception against the Bears. The following year Berrrian caught 55 passes, the second highest single season total in his NFL career. He retired after the 2011 campaign. His career NFL receiving numbers: 288 receptions, 4,122 yards, 14.3 average, 24 TD catches. As a senior second baseman in 1998, she hit the most famous home run in Fresno State history -- a no-doubt-about-it shot to left field in the sixth inning that propelled the Bulldogs to a 1-0 victory over top-ranked Arizona and the NCAA Women's College World Series softball championship. Amplifying the drama was the fact that Lindenberg's home run came off Nancy Evans, the winningest pitcher in NCAA history, and snapped a 29-game Arizona winning streak. Lindenberg explained, as the Bulldogs celebrated in Oklahoma City, that Evans had fed her inside low riseballs in their previous meetings. "It was time for me to send one over," she said. The Bulldogs were accustomed to such heroics from Lindenberg, who batted .440 in three seasons at Fresno State and etched her name all over the school record book. At the time of her FAHOF induction, she was the career leader in batting average and slugging percentage (.768) and still held the school season records for RBI, with 77 in 1998; and batting average (.508), doubles (29) and slugging percentage (.897), all produced in 1996. Those 29 doubles are an NCAA season record. Lindenberg, who grew up in Anaheim Hills, came to Fresno State Coach Margie Wright's attention when she hit a home run that sparked the United States -- coached by Wright -- to a victory over Japan in the gold medal game of the Junior World Championships. Later that summer, Lindenberg played for the North team that defeated Wright's East team for the gold medal in the U.S. Olympic Sports Festival. But after graduating from Canyon High School, she played her freshman season at Long Beach State, where she batted .324. Eager to play for a higher-caliber program, Lindenberg transferred to Fresno State for her sophomore season. It proved to be the right choice. She was a three-time All-American, a two-time Western Athlete Conference Player of the Year (1996, 1998), WAC Female Student-Athlete of the Year (1996) and twice made the All College World Series Team (1997-98). Lindenberg also continued to make her mark at the international level. 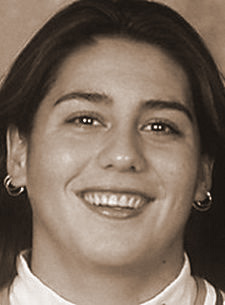 She was a member of the U.S. National Team in 1995, 1997-99 and 2001-03. She helped lead the United States to the gold medal at the Pan American Games (2003) and at two International Softball Federation World Championships (1998, 2002). The headline on a story heading into Lindenberg's sophomore campaign at Fresno State proclaimed, "Lindenberg hopes to connect for ?Dogs." She connected again and again -- capped by the biggest home run of all. For over six decades at Sunnyside Country Club, Menchinella was the pro's pro -- giving lessons to members, mentoring young club professionals, leading international golfing tours, staging U.S. Golf Association qualifying tournaments and bringing top PGA and Champion Tour stars to Fresno. One more thing: Menchinella could play the game extremely well. To some, Menchinella is "The Breeze" -- a nickname taken from a country and western song about a fellow who breezed in and out of town. Menchinella owned a van and would chauffeur local pros to their Monday tournaments. Later on, he hired a stretch limousine to take them in style. Others call him "The Godfather" of Fresno or Northern California golf because of his indelible stamp on the sport. The list of club pros who cut their teeth under Menchinella in the Valley and throughout California is endless. A common quote in thanking him for giving a first opportunity to start some roots as a club pro was that Steve is absolutely the most caring golf professional you could have. Menchinella's devotion to golf is evidenced by his many honors. 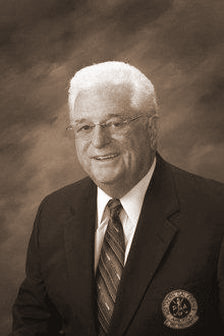 In 2009, Menchinella was recognized by the Northern California Professional Golfers Association with the Jim Langley award for his lifetime contributions to the PGA. Also honored by the group that year was Menchinella's longtime friend Ken Venturi, the 1964 U.S. Open champion, CBS golf broadcaster and World Golf Hall of Fame member. In 2004, he received the Golden State Award for his contributions to golf in California. Among the awards other recipients are Bing Crosby and Dinah Shore. In 1999, Menchinella received the Bill Strausbaugh Award from his NCPGA peers. The award recognized his mentoring of club professionals and efforts to improve employment conditions. In 1978, Menchinella was named NCPGA Pro of the Year. In addition, Menchinella was part of the Golf Digest team that selects the top 100 golf courses in the country each year. Menchinella was one of the founders of a 36-hole pro-scratch tournament designed to spotlight club pros but one that also drew such notables as Craig Stadler, George Archer, Bill Glasson and Jim Colbert. Menchinella himself was a two-time winner of the event and in 1981 Sunnyside hosted the U.S. Junior Amateur Championship. Menchinella began as a caddy at Sierra View Country Club in Roseville in 1953 and became the assistant pro in 1959. In 1968, he joined Sunnyside as an assistant to head pro Gary Loustalot. Two years later, he was named head pro. He became Sunnyside's director of golf in 1986 and general manager in 1998. He stepped down in 2013, but continued his association with Sunnyside as director of golf emeritus. The 5-foot-9, 205-pound tailback captured the hearts of Fresno State football fans and teammates with a fearless bulldozing style that shattered school records and left bruises on defenders attempting to stop him. In three seasons, Rivers rushed for a school record 3,473 yards and set another school mark with 4,388 all-purpose yards. 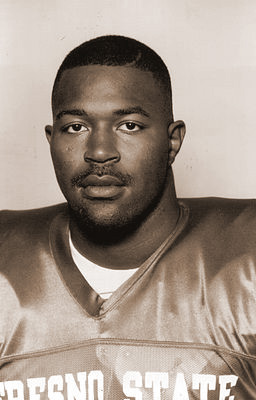 As a senior, in 1993, he dominated the Western Athletic Conference with 1,477 rushing yards -- fourth in the nation -- and 14 touchdowns, powering Fresno State to an 8-4 record, a WAC championship and an Aloha Bowl appearance against Colorado. The Bulldogs were 27-10 overall and won conference championships in each of Rivers' seasons. Among those victories: the 24-7 conquering of USC in the Freedom Bowl, a game in which he contributed a fourth-quarter TD. Such contributions inspired Bulldogs Coach Jim Sweeney to say, "Ron Rivers is without doubt the greatest back who ever played here -- there's nobody even close." Undrafted out of Fresno State, Rivers carved out a seven-year career in the National Football League. Six of those seasons were with the Detroit Lions, for whom he returned kickoffs and was the backup for NFL Hall of Fame tailback Barry Sanders. Rivers rushed for 749 yards, averaging 4.3 a carry, had 28 receptions and averaged 19.9 yards on kickoff returns. He played in three playoff games for the Lions. Rivers repeatedly came up huge for the Bulldogs when they faced big-name opponents. He shredded Brigham Young for 143 yards, ran for 155 yards and three TDs in a victory over Oregon State and had 218 rushing yards, with two TDs, in a wild 63-37 victory against a San Diego State team featuring Marshall Faulk. The New Jersey born Rivers came to Fresno State out of San Gorgonio High School in San Bernardino, where he was named All-State by Cal-Hi Sports after rushing for 2,094 yards as a senior. In addition, he compiled a 50-2 record in wrestling. A popular movie of the era was "A River Runs Through It." Headline writers often played on theme with lines like "Rivers Runs Through It." Indeed, it was rare to find a defense that he couldn't run through.